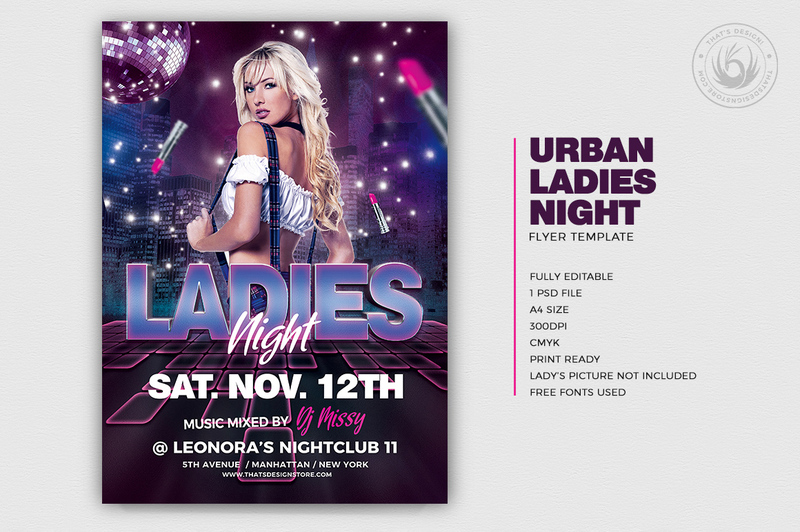 Ladies Night Flyers Template - Urban Design flyer ! Lady’s Night Picture not included. Replace it easily with your own stock via smart object. Main Title: Double-click on the smart object layer « Double-click to edit », type your own title in the newly opened window and save. 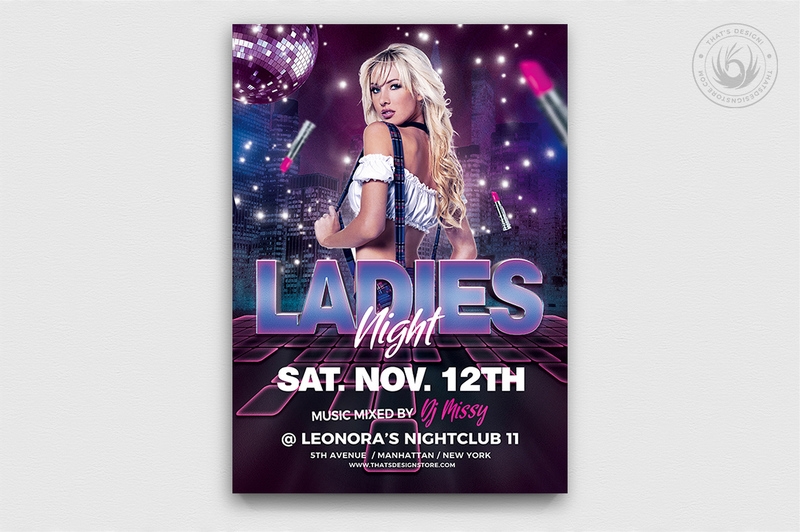 Ladies Night Flyers Template is designed to promote any kind of special Ladies party, urban Afterwork, or any nightclub event. 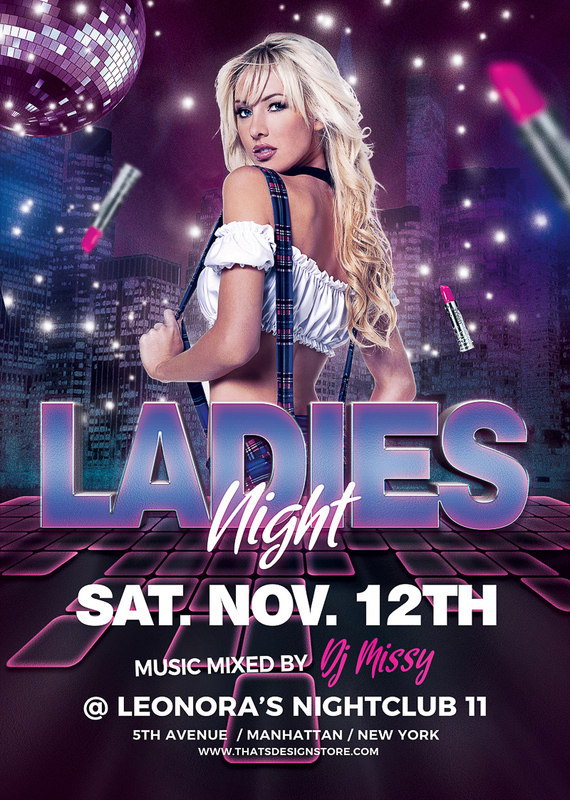 This Club Flyer is included in a Massive Bundle 300 Flyers.